Bluebirds are gorgeous songbirds and very desirable backyard inhabitants. Unlike the similarly colored Bluejays, Bluebirds have a sweet song and can brighten up a dreary yard. These bright birds love to eat insects, which makes them a practical, as well as beautiful, addition to your home. January through March is the best time to install a new Bluebird house. Here is some great info on Bluebird houses. 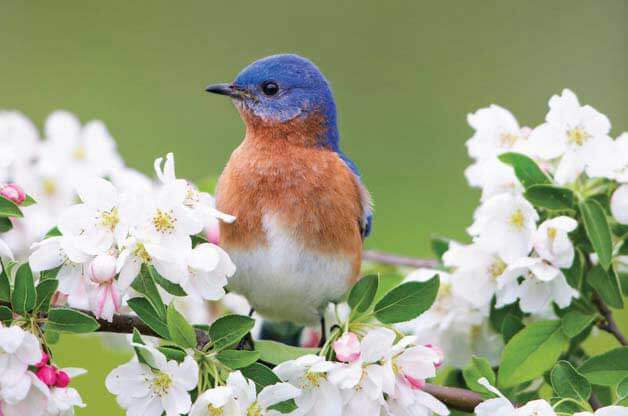 Knowing what Bluebirds like to eat will enable you to attract them to your yard. As previously mentioned, these birds eat insects, especially when they are nesting and the hatchlings need the bugs to grow strong and healthy. Keep this in mind when you decide whether or not to put down insecticides! Bluebirds love mealworm, which is available dried with birding supplies and can be used as a supplement to what you already offer the birds. Berries are also high on a Bluebirds food list, particularly sumac, elderberries, Beautyberry, and holly. 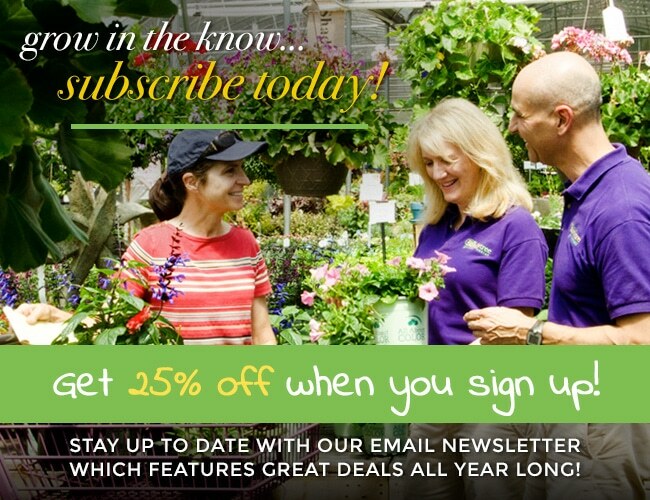 Having some fruiting plants in your yard will increase your chance of attracting birds, in addition to bringing some cheerful color to your yard. Suet, that delightful mixture of fat and bird food, is attractive to Bluebirds in the months when bugs and berries aren’t as plentiful. Suet is great for birds in the cold months to help build up their fat content. Consider suet cakes with an attractive suet feeder to entice your birds. Bluebirds also need water, so adding a birdbath to your yard décor will keep them near you, instead of requiring them to find water elsewhere. Because the birds are attracted to moving water, a small fountain might be even more successful. Another way to attract Bluebirds is by putting up birdhouses and birdfeeders. Remember to keep these separated so that other birds won’t present a threat to the Bluebird’s nest. Bluebirds prefer their homes to be high, so put them on a tall pole or high in a tree. A baffle around the pole or tree trunk is helpful in warding off climbing predators. 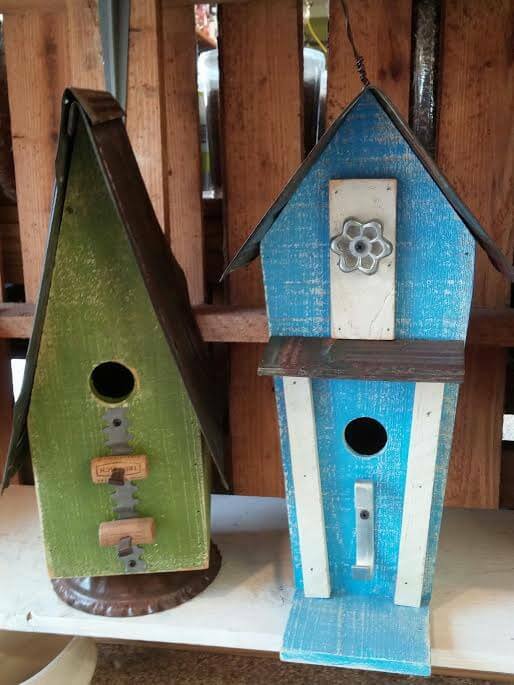 The Family Tree carries a wide selection of adorable birdhouses, as well as all different types of feeders and food; stop by today to pick up all your supplies for attracting our fine feathered friends!